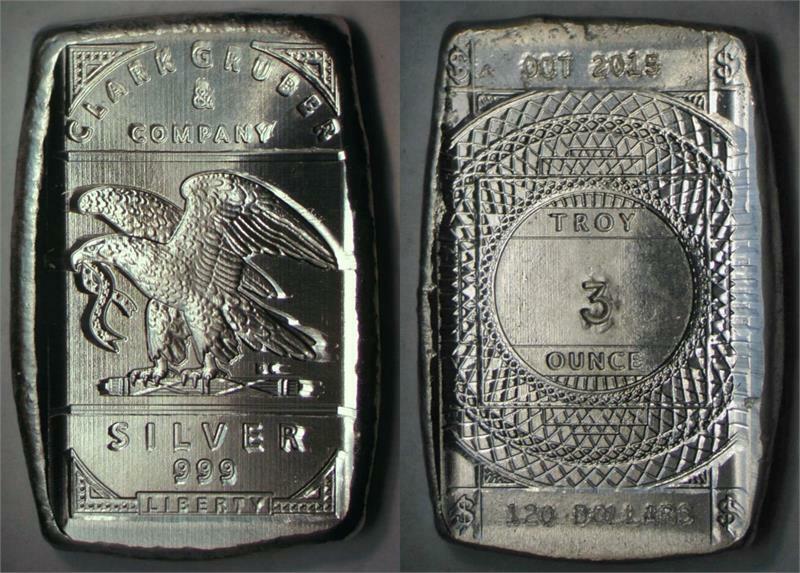 Hand-poured 3-troy-oz 999+ silver bar, freshly refined to high standards. 30mm x 50mm x 7mm (varies). 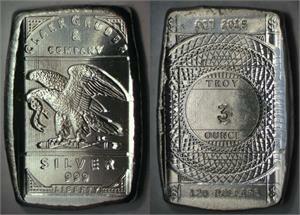 Stamped on a surplus Denver Mint Grabener coin press using die by Daniel Carr. Fancy back imprinted "OCT 2015", "3", and "120 DOLLARS".